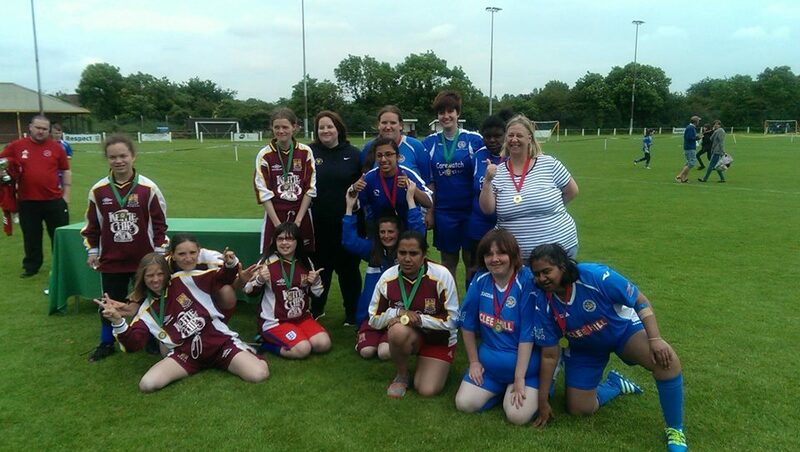 Holmes Park hosted the Leicestershire & Rutland Inclusive County Cup for All our Inclusive Clubs on Saturday June 11th. Philippa Bass the LRCFA Disability Football Development Officer coordinated the days event with a team of referees officiating over the competition. There was a great turnout on the day with 28 teams taking part In County Cup Competitions for Juniors U13’s / Youth U16’s and Ladies and for Adult Male teams in the Premiership/Championship & League Divisions, we had 10 teams taking part on the day! 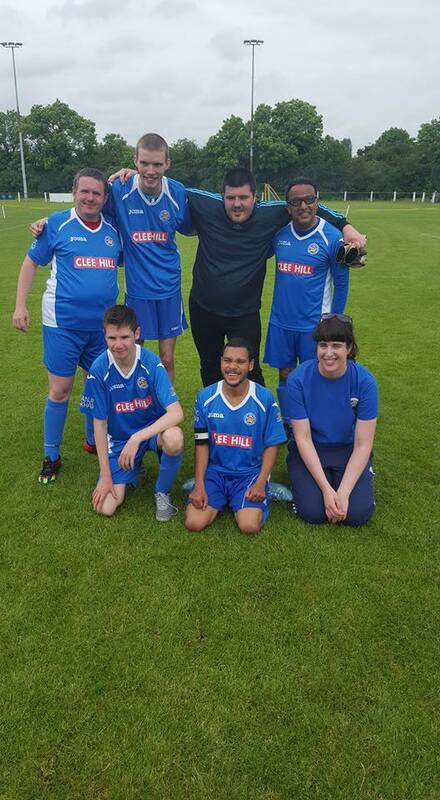 It was great to see Beaumont Town who came along to the Inclusive Event for the first time, they have worked hard in a short period of time to get a team together, which was great. 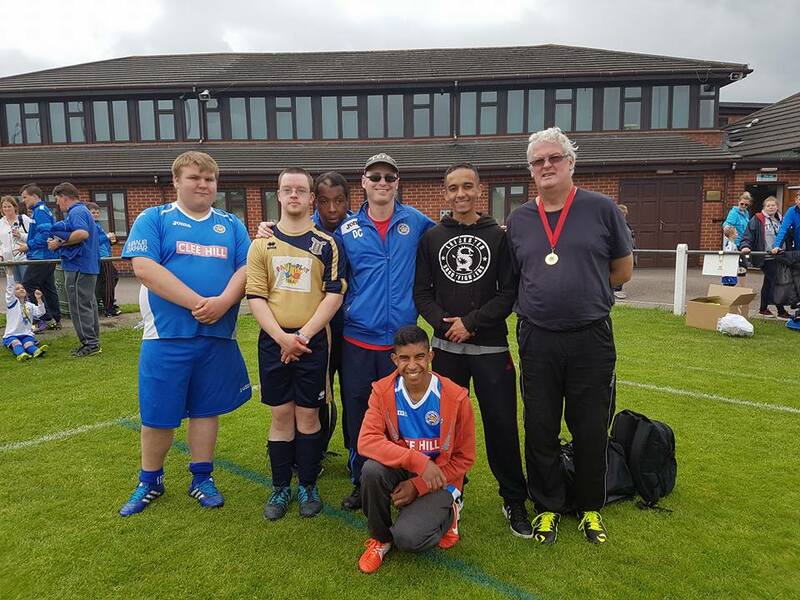 Leicester City Woodgates’ 2 Premiership Teams had another tough day of competition and came close to getting a place in the final, but Aylestone Park FC won the Final winning Dynamo’s in a closely fought contest. 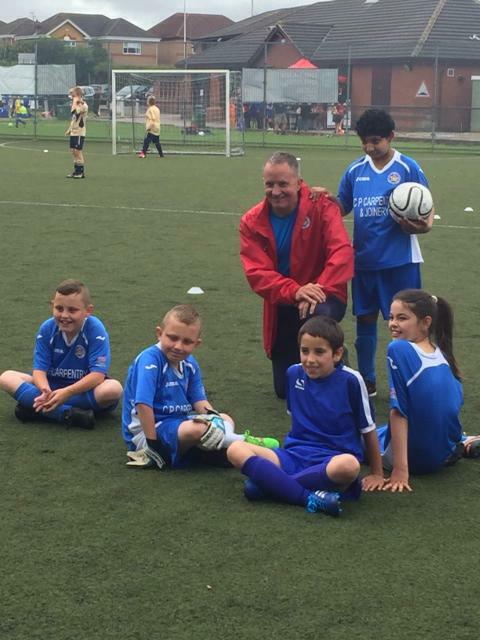 Leicester City Woodgate had 3 teams competing in the Championship, with Beth Valkai overseeing the teams on the day. LCW Orange team just missed out on a place in the final with the goals against rule, so were disappointed, but LCW Green Team won through to the final where they played AFC Barwell, who won narrowly by 1-0, but it was a cracking game. LCW’s 2 League Division Teams were managed by Dave Codd & Mark Peter James on the day and played some great football throughout. Mark’s Team got through to the Final, but again just lost 1-0 to Ibstock United, who had borrowed our Goalkeeper Paul Thornton,who proved very difficult to beat! so Paul won a medal with Ibstock Utd. LCW’s 2 Youth players on the day Shane and Tyler, guested for Aylestone Park FC who won in the Final, so a good day for them too. LCW’s Junior Team ran by Paul Gibson and supported by Jamie Hereworth again won through to the final where they just lost out to Beaumont Town, but played some fantastic football. 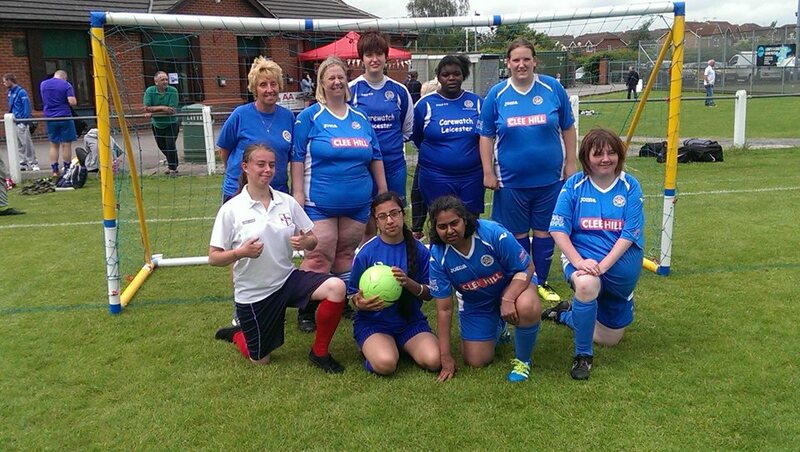 LCW Ladies Team, Ibstock Ud, Aylestone Park & Northampton Town played in a friendly competition on the day and again we saw some great team play from our Ladies, who worked tremendously hard, LCW won the penalty competition for the Ladies Event, so they were well chuffed with that! Once again, a great day of football for All our Inclusive Teams and ‘Many Many Thanks’ to All our very hardworking players for their great play, effort and Respect on the day and of course ‘Thanks’ to our supporters, parents and brilliant volunteers! !